One level living in Rosendale! Perfectly positioned close to wineries and restaurants, schools and so much more, this charming Ranch-style home offers a life of leisure. Set on a 1/3-acre lot with a large yard and plenty of outdoor living space, you will never want for room to move, play or entertain. Inside, the single-level floorplan is spacious and light-filled with three bedrooms and 1.5 bathrooms. There's an attached single garage, plus a full partially-finished basement just waiting for the finishing touches. Gleaming hardwood floors flow throughout the bedrooms and living spaces and there is a lovely eat-in kitchen ready to cater for loved ones. Step outside to the huge rear yard with mature trees that provide shade throughout the summer. A gorgeous gazebo is a peaceful place to start your morning with a coffee in hand. A host of updates have already been completed so you can move right in and enjoy. The furnace was recently updated, along with the thermal replacement windows. The roof and shutters are brand new and the home is connected to community water for complete convenience. 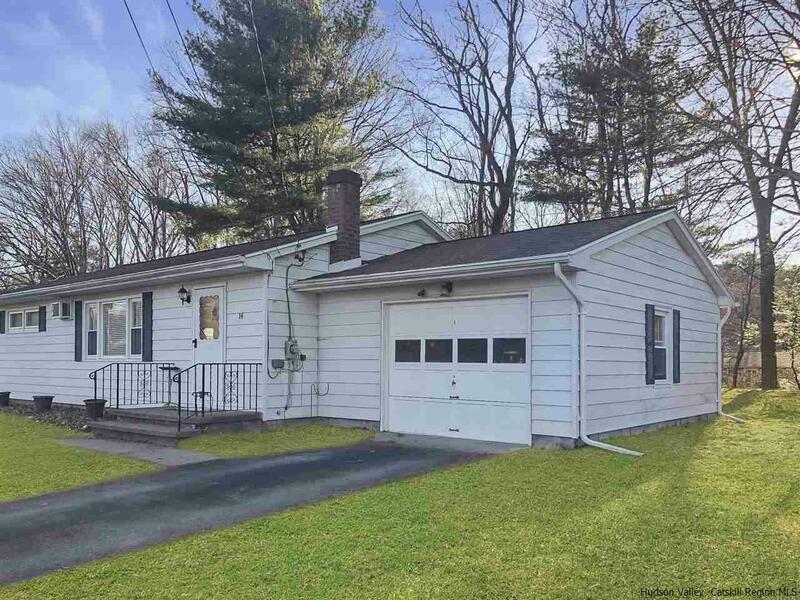 You will love living close to New Paltz, Kingston and High Falls with swimming, rock climbing and hiking trails all within easy reach. It's just a short drive to local wineries, breweries and farm markets, while fantastic restaurants and the local movie theatre are in Rosendale.